I was very excited when I received the information and images about this new bag by Louis Vuitton. Apart from the bag itself being perfection the whole campaign is breathtaking and the behind the scenes images photographed by Gerard Uferas which showcase the details and process only made my appreciation for this piece grow. The Capucine by Louis Vuitton is the new signature bag that embodies the elegance and values of the Maison. The name is a homage to the earliest days of the LV Maison born in Rue des Capucines in Paris where Louis Vuitton opened his first store in 1854. Fans in Barbados can visit the The Louis Vuitton store at Limegrove Lifestyle Centre to get their hands on the Capucine bag. Louis Vuitton in Barbados is also the only store in the region to carry the Capucine bag made from rare and precious crocodile skin, so this is quite a treat! The Capucine is made of luxurious materials and the stunning details are subtle yet evident. The bags are hand sewn and impeccably stitched with beautifully curved edges. Two precious leathers, bull calf leather, which is strong and the soft calfskin are perfectly married. 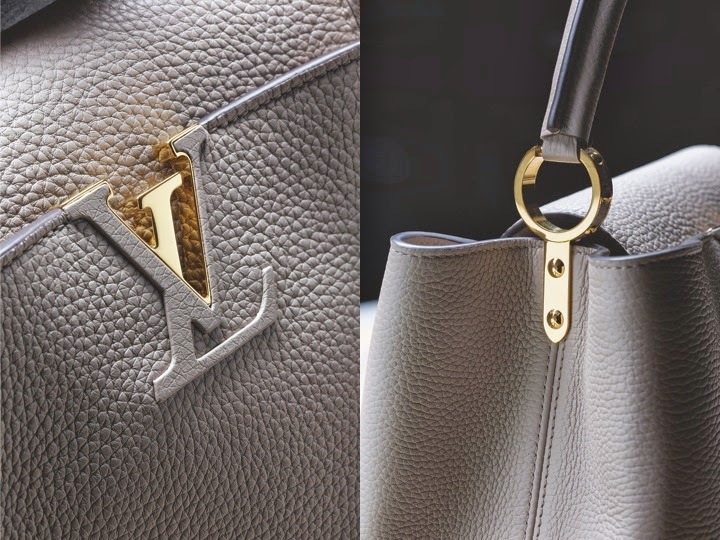 The hardware and LV initials are like fine jewellry accents and the initals are sheathed in bull calf leather and inserted claws set into the very grain of the leather. 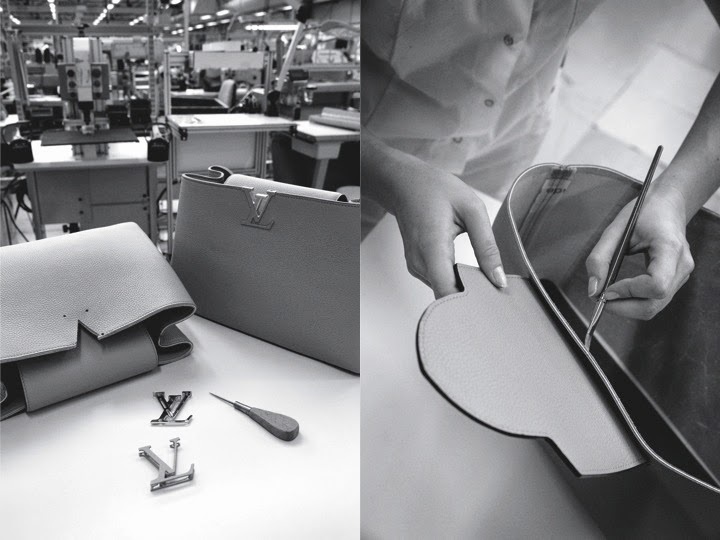 This is a first for Louis Vuitton, an unprecedented step for the Maison which has been carefully developed by leading leather craftsmen. Nothing in in the Capucines elegant restraint hints at its complexity. Over 250 individual handcrafted operations and thousands of steps go into creating the Capucines bag. Invisible, but ever-present know-how that is expressed in every detail and which gives it the sophistication and refinement that stand the test of time. The grain of the hide must be even, the fibres intact, the thickness ranges from 2 to 2.4 mm, and the texture is and smooth and velvety to the touch. The leather specialist examines, weighs up and caresses the leathers: a patient selection that rejects wrinkles, a uneven grain and any marks. This is a sensual and painstaking exercise balancing the search for perfection with ultimate respect for natural materials. 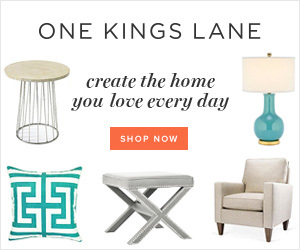 Louisvuittonhouse - louis vuitton outlet store, The Bset Place To Buy Cheap Louis Vuitton Handbags, Wallets, Sunglasses, And Other Lv Products, Free Shipping All Over The World!